more than four hundred years, beginning with the Deccan sultanates and followed by the Maratha Empire. As they say in Marathi: “Fulala sugandha maticha”! True to that saying, the history of those kingdoms and the lives of those who built them, were formed by the land that nurtured them. Maval was the land of the Mavale, the hardy men whom Shivaji led into a daring adventure in the 17th century. Many of Shivaji’s comrades (and, later, a number of his soldiers) came from the Maval region in the district’s western mountains, including Yesaji Kank, Suryaji Kakade, Baji Pasalkar, Baji Prabhu Deshpande and Tanaji Malusare. Shivaji traveled the hills and forests of the Sahyadri range with his Maval friends, acquiring skills and familiarity with the land which would be useful in his military career. The literal meaning of Maval from Marathi is “the land over which the sun sets” which is the eastern slopes and the foothills of the Sahyadris. Grant Duff, a British soldier and historian and the author of the 3-volume tome published in 1826 “A History of the Mahrattas” described Maval’s rugged topography and flora as “scenery which everywhere presents itself is of the grandest kind”. Maval is one of the world’s highly bio diversified regions. Steeped in history with Karla Caves, Lohgad and Bhaje in close proximity, Maval is also blessed with a pleasant climate round the year and boasts of picture perfect natural surroundings. The Pavana lake as well as Lonavala are within the region. And now the pleasant surprise….Maval is a tehsil in Pune district and very easily accessible from the city on the Pune Mumbai Expressway corridor. 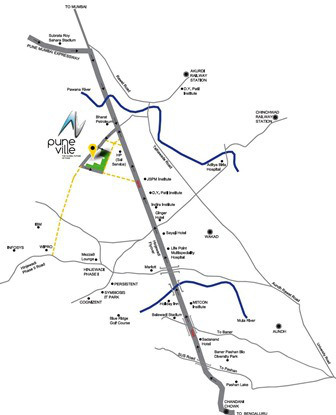 A leading developer of Pune has acquired a large land parcel in these pristine environs. A planned 250 acre fully integrated township has received all the mandatory approvals and is being launched soon. 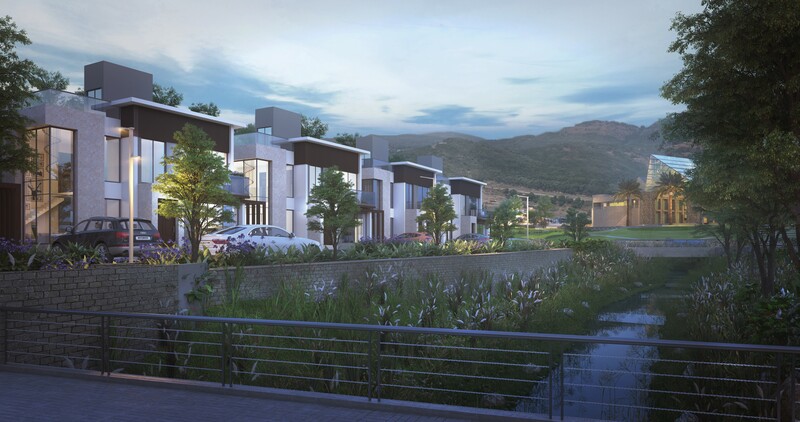 The township is coming up at Urse Central just two kilometres from the Talegaon Toll Plaza on the Expressway. It is a smartly designed township that has just horizontal development – no high-rises and only villas on offer. A mere 20 minute drive from the IT hub of Hinjawadi as well as the industrial hub of Chakan makes it a smart alternative to leave behind the cluttered concrete towers and start living in a bungalow . The connect with history and being one with nature is a bonus. The Maharashtra State Road Development Corporation (MSRDC) has plans to sell or lease out 1,000 acres along the Mumbai-Pune Expressway. The land is valued around Rs 12,000 crore. This is planned to be done in nine or ten years to partly repay loans of around Rs 28,000 crore to nine banks which are funding the upcoming 701-km Mumbai-Nagpur super-communication highway, dubbed the state’s prosperity corridor. The project plan envisages developing land parcels flanking 2 kms on either side of the Expressway. Back in 2008, the MSRDC had carried out a study through a private consultant regarding commercial exploitation of land parcels adjoining the Mumbai-Pune Expressway. The study had recommended amusement park, townships, educational institutions, agriculture research centre, food park, golf course, truck terminal, luxury villas, IT Special Economic Zone, weekend destinations, snow park, and so on could be created. According to the report prepared by consultant Darashaw, 23 plots were identified along the stretch on the Expressway and the immediate plan was to commercially exploit nine of them. Urse is on top of this list. Urse has a unique locational advantage. It is at the hub of major infrastructural development projects in the vicinity – the PMRDA Ring Road, the Expressway, Pune Metro and the Virgin Hyper Loop test station all converge at Urse. Urse has an additional advantage of being very near to the industrial belt of PCMC, Maval, Chakan and IT/BT park of Hinjewadi. Urse is a short drive to all these business hubs making it extremely feasible for daily travel. It is estimated that more than 2 Lac people are working in the companies located in the Technology parks in Hinjewadi and its surrounding areas. Companies across various sectors like – IT, Automobile, Pharmaceutical, Engineering, floriculture have a footprint here and giants in all these sectors are making it a big market to bank on. Phase 1 of Talegaon has seen companies like General Motors, Volkswagen, Siemens, JCB, Finolex Cables, Bajaj, Land Rover, KPIT and many others set up base. A large number of people are travelling from Pune and adjoining areas. With Foxxcon, a leading contract electronic manufacturer and a key supplier to Apple Inc., setting up a base at Talegaon, it is estimated that a massive workforce of 50,000 people will be required by just this one organisation. Phase 2 has also generated equal if not more interest, it will see a sharp rise in employment opportunities too. The fast-growing hub has good English medium schools, finest colleges for undergraduate and post graduate courses in almost all the fields. These schools not only promote learning through an advanced curriculum but also stress on sports and physical activity for the all-round development of the child. Some of the schools are B.K. Birla Center of Education, Heritage School, Great Eastern Academy and Mount Saint Ann Convent High School. Be it engineering or medical education and research, there are enough options like Sinhagad Institute and Indira Institute for students to opt for after completing their 10+2. The renowned Maharashtra Institute of Medical Educational and Research is also located in the vicinity. The sweet spot continues: Urse is exactly at the midpoint between Pimpri-Chinchwad and Lonavala. The drive time is a mere 20 minutes either way. 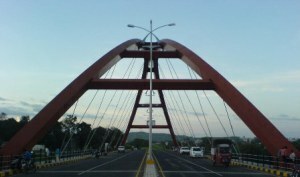 Urse also serves as a connecting junction or as a bypass for the northeast-southeast corridors connecting the Industrial areas of Chakan, Talegaon with Hinjewadi. The proposed Navi Mumbai International airport at Panvel is merely at a distance of 83 kms. All in all, this area has grown at a fast pace and is poised for an exponential growth in the future. This excites the real estate developers to make more and more investment in projects in the region that are sure to yield them heavy returns. Since the location is at quite a feasible distance from Pune, people have started shifting to this area to avoid the city’s hustle-bustle and experience nature very close to them. One of the biggest real estate investments in recent times has been by Pune’s leading developer Pharande Spaces. They have acquired a 250-acre prime land parcel at Urse Central with the hills of Dongarwadi as a backdrop. What is unique about their project is that it will be a horizontal-development with no high-rise buildings and will exclusively be a community of Villa Homes. 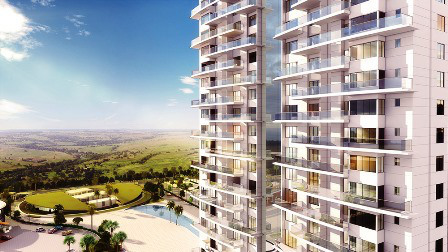 This is certainly not only the biggest only-villa project in Pune but maybe across Maharashtra as well. Pharande has named this upcoming project as ‘Vaarivana’, meaning a forest of clouds. Prospective buyers at Vaarivana also get to own the free-hold land that their villa or bungalow stands on. An investment in land provides better appreciation as compared to an investment in an apartment. 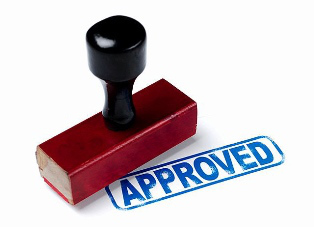 Pharande Spaces’ Vaarivana has received all approvals under the Maharashtra Special Townships Act. The project has been registered with MahaRERA number: P52100018391 | Phase A-1; P52100018252 | Phase C and D as well. A key feature at Vaarivana is that 90% of the plot is a green area. Vaarivana will host a 6-hole golf course and a 50,000 sq. ft. club house. Vaarivana is at the heart of Urse Central and all locational advantages of Urse Central hold true. In addition, a road is being constructed by PCNTDA that would connect Vaarivana to Nigdi via Appu Ghar. This distance would be covered in just 10 minutes. A proposed 30 m wide RP road will connect Vaarivana to the Rajiv Gandhi Infotech Park, Hinjewadi. The distance from Vaarivana to Hinjewadi is 19.5 kms and the drive a breezy 16 minutes. Urse Central is blessed with a pleasant climate all year round and boasts of green hills, picture perfect natural surroundings where the clouds gather. The difference in the altitudes at Urse Central (2021 ft. above mean sea level) and Lonavala (2047 ft. above mean sea level) is a mere 25 feet. It enables one to a hill station vacation experience every day. Khandala, incidentally is at an altitude which is 200 feet lower than Vaarivana. Vaarivana is a great opportunity to invest for the future.